Food blogger and cookbook author Shauna Sever of The Next Door Baker is sharing her four go-to hacks to make chocolaty treats. She shows us how to make customized chocolate candy cubes, chocolate covered peanut butter buckeyes, chocolate chip cookie bowls for ice cream and easy hot chocolate flavored with peanut butter and Nutella. Using a muffin tray turned upside down, bake chocolate chip cookies on the outside of the muffin tin to create a bowl. Then fill it with chocolate ice cream (or your favorite flavor). Using an ice cube tray, fill up each section with different fillings (marshmallow, caramel, peanut butter, nuts, etc.) and then add chocolate. Put it in the freezer and freeze until set to create different kinds of chocolate bonbons. 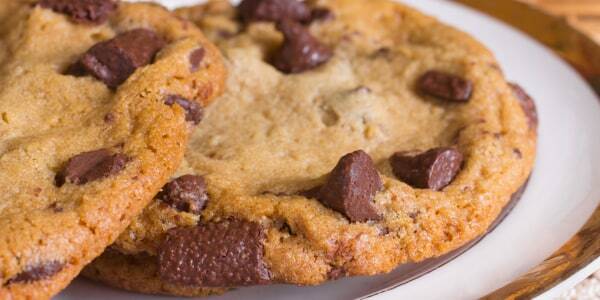 Instead of melting your chocolate on a stovetop, use your slow cooker! Partially fill your slow cooker with water (about 2 inches deep), and put in three heat-safe jars. Place dark chocolate in one jar, milk chocolate in another and white chocolate in the third. Cover and heat on low until chocolate is melted. 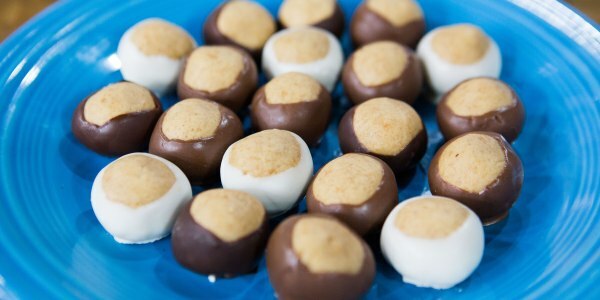 Then take your buckeye candies and dip them in whatever chocolate you'd like. Take an almost empty Nutella or peanut butter jar and fill it with hot milk (leave a little room). Add a spoonful of cocoa and a spoonful of sugar. Put the lid back on, shake the jar and then pour into a mug.